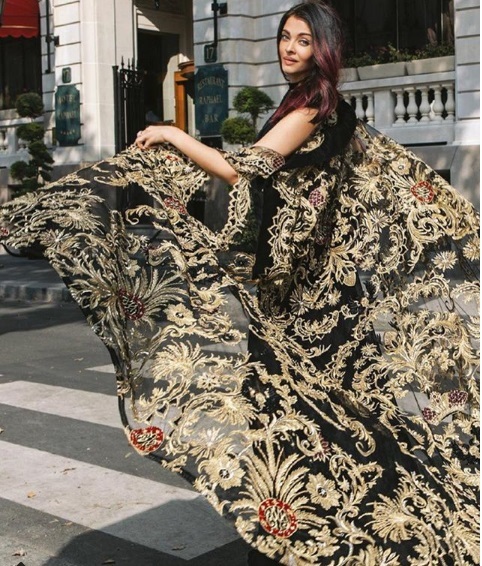 In Pics: Aishwarya Rai Bachchan’s Latest Photo-shoot For Brides Today Is A Parisian Dream! It is a known fact that Aishwarya Rai Bachchan is one of the most beautiful women in the show business. All around the world, from the big screens of Indian and Western cinema to the red carpet of Cannes—Aishwarya’s beauty is considered evergreen! An overall combination of grace, beauty, intelligence and wit— Aishwarya’s charm is hard to replicate. Don’t believe us? One look at Aishwarya Rai Bachchan’s latest photoshoot for Brides Today will be enough to convince you! Let us start with the magazine’s cover, shall we? Needless to say, Aishwarya Rai Bachchan slayed in all her looks for the magazine. Aishwarya wore creations from world renowned designer brands like Ellie Saab, Ashi Studio, Zuhair Murad, Giorgio Armani along with Ralph and Russo. Those soft red hues is crazily wanting us to book a hair saloon appointment and ask the hair stylist to turn our tresses color like Aishwarya Rai’. Isn’t it?! Few weeks back Aishwarya was in Paris attending work commitments along with her mother and daughter Aaradhya Bachchan. Although clearly it was work related trip, Aish made sure that Aaradhya had loads of fun in Paris. The mother-daughter duo even visited Disneyland. After ‘Ae Dil Hai Mushkil’ in 2016, Aishwarya Rai Bachchan is returning to the big screen via Anil Kapoor and Rajkumar Rao starrer ‘Fanney Khan’. Aishwarya has also confirmed that she will be starring in filmmaker Anurag Kashyap’s ‘Gulab Jamun’ with husband Abhishek Bachchan. The Bachchan couple was last seen together sharing the big screen in Mani Ratnam directed ‘Raavan’.